How to get there: Train: Melbourne Central Station. Came in a beautiful Plantation paper cup with aromatic coffee and a scoop of vanilla ice cream – it was one awesome cup of iced coffee (I should have requested black coffee instead of milk coffee though)! 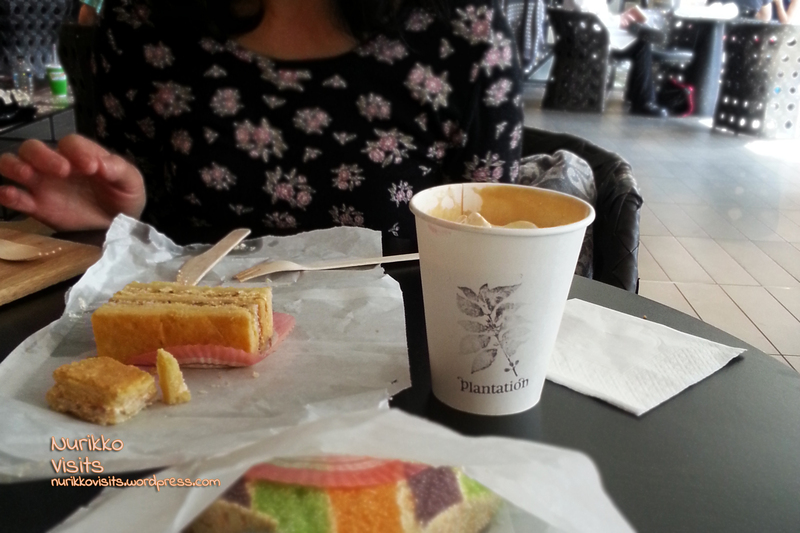 Plantation coffee with cakes from Maxim’s. Was so embarrassing because I blushed when he asked for my name….. only to realise that it was for the coffee! OTL (I felt like a school girl again). Enjoy while you are still young! Categories: $ Cheap eats (below 15), Afternoon Tea, Coffee, Dessert, Favourited, Hit, Melbourne CBD, Melbourne CBD (Melbourne Central), Recommended, Take Away, Tea, Wide Range Beverages | Permalink.